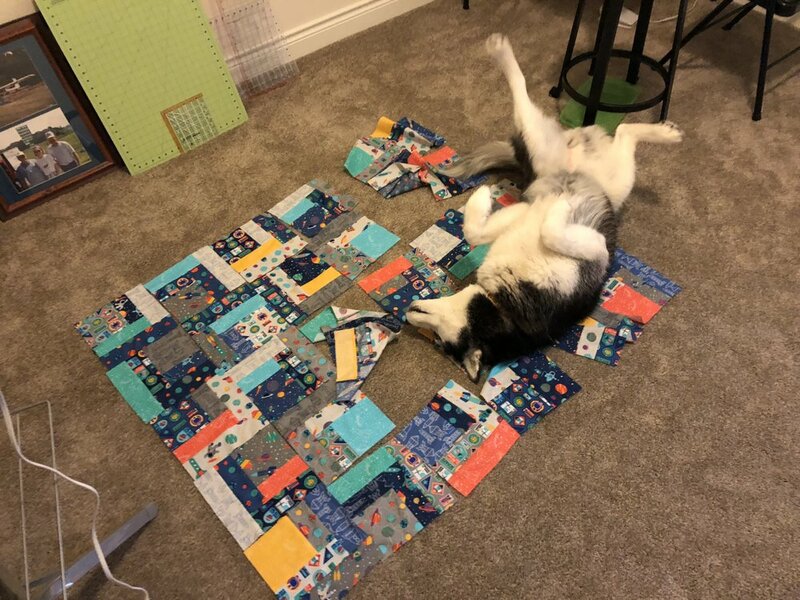 This past weekend, I made quite a bit of progress on Gus’s quilt. I finished all the blocks thanks to my trusty helpers. I also laid out the blocks to figure out the arrangement. I didn’t get the blocks sewn together, which is unfortunate because Kat did this. Hopefully I can recover the arrangement!